Our fault-tolerant cloud servers are available out of our two colocation data centers in Boston and Dallas for full redundancy to meet your needs. Our cloud hosting and cloud backup services have the flexibility to grow and change along with your business. A leader in personalized colocation services, Lightwave Networks offers cloud hosting and cloud backup packages that are customized to best suit your business and its goals. We provide these services through our highly secure state-of-the-art Boston colocation data center and Dallas colocation data center. With public cloud and private cloud options, we can accommodate any of your virtual and security needs. Cloud servers are virtual servers that are accessed over the internet. The cloud computing environment Lightwave’s cloud servers run on are built, hosted, and delivered via a cloud computing platform through the internet. 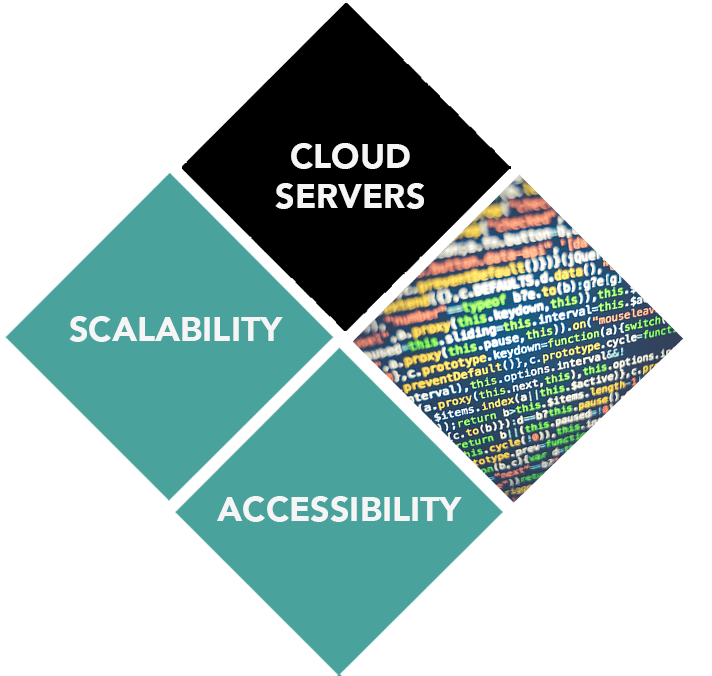 Cloud servers function similarly to physical servers in many ways, but they come with various unique advantages. Scalability: Not only can cloud services adapt to your needs, they can do so quickly. Accessibility: Access your files from almost any internet-connected device. Security: When data is backed up on a cloud server, there’s no risk of it being accidentally lost. Redundancy: If one cloud server fails, others will take over ensuring your data stays protected. Collaboration: Make it easy to work with colleagues in the same office or across the country. Storage: Access your files when you need them and have them out of the way when you don’t. Our Boston cloud servers and Dallas cloud servers have multiple advantages over their physical counterparts. Since LightWave Networks handles your server management, cloud backup service and hosting packages are often more affordable than maintaining an in-house physical server. In addition to the ability to access your cloud servers from anywhere, cloud serves also allow for increased collaboration among employees accessing their data via a centralized cloud platform. If you want the independence offered by dedicated servers with the increased efficiency and affordability of virtual servers – virtual private servers are a great choice. Lightwave’s VPS hosting solutions give you all the benefits of a cloud server while allowing you full administrative control over your data in a private environment. LightWave’s cloud and VPS solutions are always customized to meet each customer’s unique needs. We don’t believe in a one-size-fits-all plan. Contact us today to see how we can help you meet your virtual storage and security needs – starting at $7 per month!